Room Tip: Habitacion con vista al mar, la mejor de todas!!. 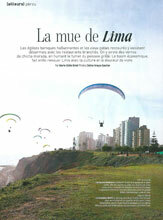 Second Home Peru was the best part of our stay in Lima. The setting is spectacular with one room literally handing over the Pacific. All the rooms were gorgeous and comfortable. 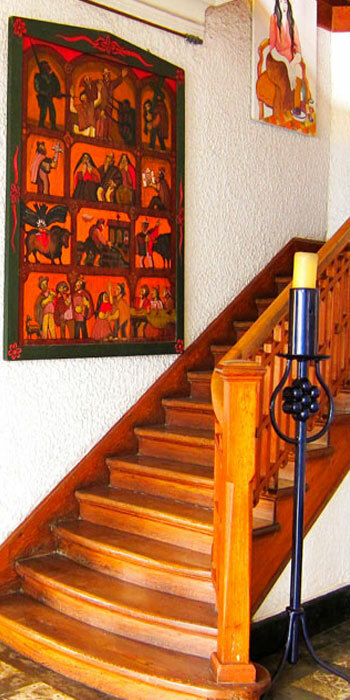 We loved the decor of the mansion and especially enjoyed the Victor Delfin studio and artwork. We were sorry to ever leave our rooms. I could have stayed all week. The staff was so helpful and arranged for us to be picked up at the airport. Breakfast in the kitchen was so homey and great food was served. We felt like we lived there--or at least wished we did. Highly recommended. Room Tip: The best room is downstairs on the cliff but all rooms were wonderful. Nous avons passé 2 nuits, une à l’aller, une au retour de notre voyage au Pérou. La villa est magnifiquement décorée avec les œuvres de Victor Delfin, c’est très original. Le quartier est très agréable et sécurisé. Les chambres sont spacieuses et propres, certaines avec vue sur Pacifique. Le service est impeccable : petit déjeuner, taxis,... Bref, une adresse à conseiller. Petit bémol concernant l’accueil : on se sent plus comme client d’un hôtel que d’une maison d’hôtes. C’est dommage. Le escribo para darles las gracias por hacer de nuestra estadía en Second Home y en Barranco agradable y placentera, ha sido una experiencia Inolvidable, gracias. Fue un gusto conocer al Sr. Victor Delfin, su padre y ver cómo trabaja y del tour privado de su residencia, de nuevo es algo Inolvidable tanto para mi como mi pareja Tamara, todavía no dejamos de hablar de su Papa, Usted y del maravilloso grupo de amigos que trabajan con usted, Creemos que lo mejor de nuestras vacaciones fue quedarnos en Second Home. Tamara y Yo deseamos mantenernos en contacto con ustedes y regresar a visitarlos, pero si en algun momento usted llega por San Francisco, CA por favor seria un placer para nosotros que nos visite. Les deseamos a usted de todo corazón Felices Fiestas a todo el maravilloso grupo de Second Home! We only stayed here for two nights, but I wish I had stayed a lot longer. The house and grounds are absolutely beautiful - right on a cliff overlooking the beach, gorgeous furnishings, very unique and tranquil. We had the pleasure of meeting Victor Delfin and touring his art studio while we were there. His studio is right on the property, so do not miss this if you have the opportunity. His sculptures and paintings are also scattered around the property and really add something special to the experience. You are literally staying in an amazing art gallery when you stay in this B&B. 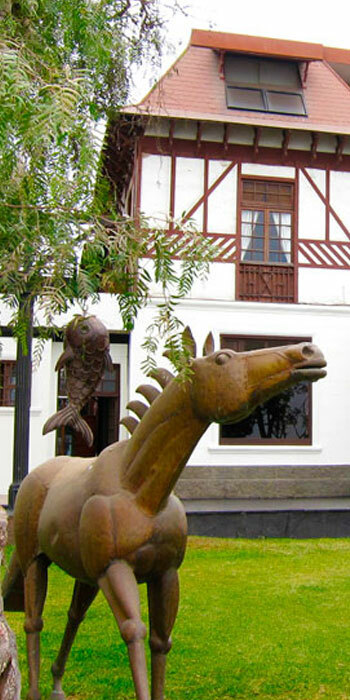 The location is on a quiet street, but within walking distance of everything in Barranco. We enjoyed chatting with Lilian Delfin at breakfast, and the breakfasts were some of the best I had on my entire trip to Peru! This place is truly a gem, I feel so lucky to have found it! !